The Maestro’s back in this exciting encore to Notes of Life! Eerie music fills the air in Vienna, where shadows terrorize people in the streets. Two musical prodigies have gone missing. Can you save them without striking a single false note? Solve the mystery of the Music from the Void as you play this Collector’s Edition version of the game, including a hefty bonus game and neat extras. As an added bonus, Collector’s Edition games count toward three stamps on your Monthly Game Club Punch Card! Maestro: Music from the Void Collector's Edition is rated 4.0 out of 5 by 70. Rated 5 out of 5 by smoovasbutter from Slight improvement over the first two games This is the third Maestro game and so far its the best, although I haven't played the forth one yet. The biggest area of improvement comes from the graphics. The Viennese streets, while not particularly ominous are quite picturesque and well drawn. In contrast to the first two games, which were quite challenging, this game was easy so those looking for a challenge might want to increase the difficulty level. The game also has a nice and original extra of the orchestra. 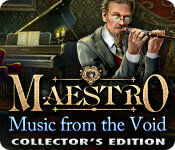 Rated 5 out of 5 by crisgori from I love the Maestro series but.. ...I'd like to know why there are sparkles even in hard mode. WHY??? Rated 5 out of 5 by Laflamme from Brat goes to make believe Austria Review based upon completion of game and bonus content. This is the third (and possibly final?) installment of the Maestro series. Despite being stripped from power in the bonus chapter of part 2, Le Salle Gosse (the brat) is back. The showdown tales place in the Vienna Academy of the Arts, where two students have gone missing and the Music of Death is running rampart. The Austrian setting is fitting for classical music, but - of course - the portrayal of Austria itself has nothing to do with the country or the city of Vienna at all. (For example, we do NOT have flags on our mailboxes.) The Good: + fitting setting + graphics and videos + beautiful classical music + you are controlling four different types of music + areas are logically finished and do not have to be revisited again, leaving the to-and-froing to a minimum + hint function now directs you to the next area with something to do instead of just giving the dreaded "There is nothing to do here" message + they tried something different with the HO scenes! In about 50% of the scenes you pick up items by silhouette, then manipulate things in the scene + already found items stay out of repeated HO scenes + 22 diverse mini games... The Neutral: o ...21 of which can be solved in 45 seconds or less o setting was not researched properly The Bad: - they dumbed the game down Bonus Content: For a change the story has a satisfying end, and you actually do not have to play the final chapter to make any sense out of it. The chapter took me about an hour to play. Other than that, you get the usual stuff of artwork, screensaver, soundtrack and wallpapers... but HEY, wait a minute! In a Bunny first, you can replay the mini games and HO scenes! Also, you will find 25 musical instruments during the game (19 in the main game, 6 in the bonus chapter), and if you can find all of them the Orchestra of the Void (the killed guys from Notes of Life) will play a music piece for you. I really loved them. Bottom Line: The Bunnies got graphics and videos down, and they finally listened and tried something different. And they really pulled it off this time, but dumbed it down so much that it's more or less always clear what to do next, and that you can solve 95% of all mini games within a minute without the necessity of thinking. I recommend getting the CE, but you will need to know the story from the first two games. Rated 5 out of 5 by Jem_Jerrica_Guy from Deeply haunting can be disturbing (mature content) Who was once just a boy in adventure 2, meets a fate; greed like his instructor. The result of child manipulation (this is a combination of both parts 2 and this part 3), may disturb folks. Not for the true prudish of people. You have been warned. 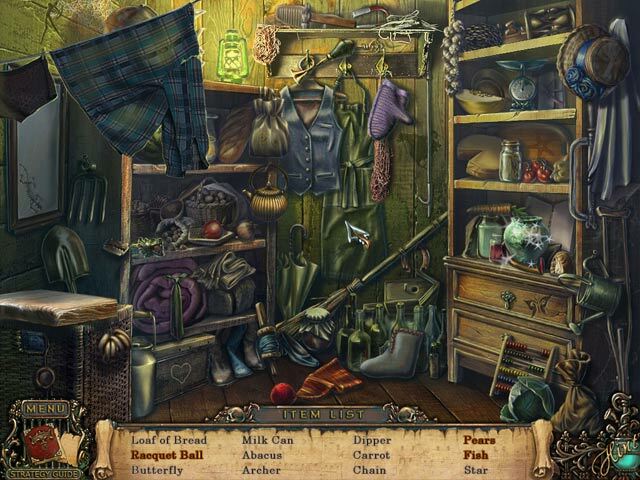 Rated 5 out of 5 by Rini1031 from Wonderful game from a great series! I have a confession: I enjoyed but was somewhat letdown by Notes of Life. I was so excited to see this game and rightly so, since this game had the “wow factor” that Music of Death so impressed me with. 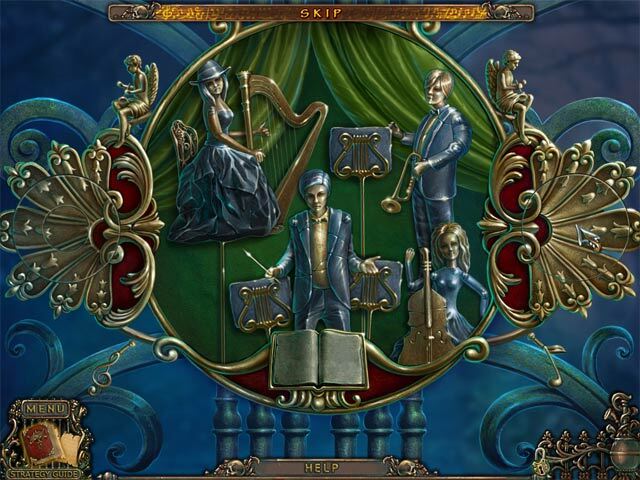 I enjoyed the scores that you could play and thought that the game had an excitement to it with the playable violin and the collectable instruments. As an older character, the boy doesn’t make me want to punch him either, which is a nice change. As usual, stunning artwork and good background music, if repetitive from the other Maestro titles. The hint system is perfect and the skip button doesn’t take a tremendously long time to charge. The animation has improved also, which is nice to see. The voice actors are getting better with each game (I’ve already mentioned the boy), if you ignore the lack of accents. There is a level of challenge in all the Maestro games, but it is a challenge that is comfortable – in my opinion, anyway – for most beginner and intermediate players. It does have the no skip/hint mode for advanced players. This is a good, comfortable game to relax into one dreary day. Scary? Not particularly, although there is one startling moment Good for kids? I’d say early teens and up Guide required? No, but it helps to make sure you’ve got all the instruments Buy? Yes, hands down Last line: A good game that you will likely play more than a few times. Worth the extra for the bonus game. Trust me – you NEED to play the bonus game! Rated 5 out of 5 by timothya from A Nice Finish The Maestro arc has, we are given to think, come to an end. 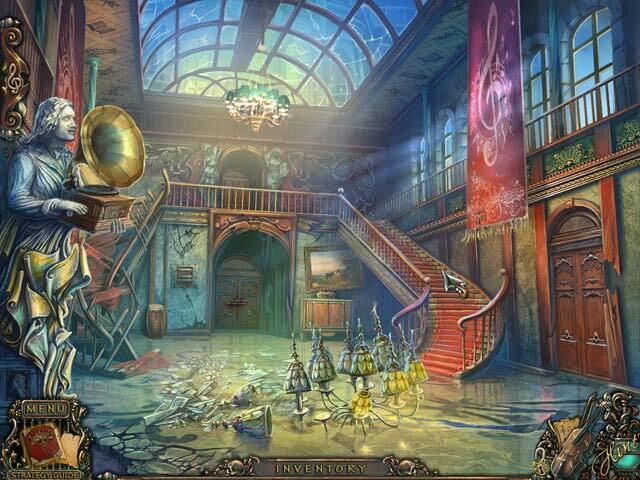 This one is lovely, the colors vivid, the scenes nicely composed and the music up to the challenge. Pros: The art, of course. Vivid colors in this one, Viennese locations that are more or less believable, a hint system that really gives hints instead of answers. A particularly generous bonus game that made the CE price worth spending. Cons: The plot. The missing children are entirely ancillary to the story arc and the villain Void is all too well named. Francois is the only carryover from the previous games, older now and actually very well done but given too few lines. Overall: A fitting and lovely conclusion. Rated 5 out of 5 by chrimarsh from Challenging without being too hard A bit of back and forth as you find things and then go back and play the same HO to find something else, but overall, nice variety of puzzles. Playing the violin to make "magic" is a little hokey because they light it up for you when it is time to use it, but if they increase the number of music scores and then you have to look through them for the right one to use, it may be better. I only played the demo and got two music scores, so I'm not sure if they are that much of a feature in the full version.